App Builder Appy Pie, April 11, 2018: The big players in the world of mobile app development have deep pockets and might be ready to spend millions a day to acquire new users. However, not everyone has deep pockets, especially an independent developer may only have limited time and money to invest, and you might be struggling hard to keep everything up and running. So what do you think you can do when it comes enhancing your User Acquisition with the budget constraints you have. A strong user acquisition strategy forms the foundation of an app that goes on to meet great success for a long time. It is obvious that in order to generate any revenue or market your app, you need to have users. Additionally, when you have a decent number of users, this number kind of becomes your social proof which prospective users look for, before downloading your app. There are millions of apps available today on Google Play Store and Apple App Store, and a huge number of apps are still being added everyday to deepen the pool. This might sound good, but as an app developer, it means that acquiring new users is going to be that much more tough! When competition increases this way, it is imperative that you have only the best user acquisition strategy in place. It however takes a lot of time to develop such strategies and successful apps do not crop up over night! When you set out on your mission to create an app, make sure that you do not get into it till you are clear about the reason why you are making it! Conduct deep research and understand your target market and study the competitors as well. The next stage is picking up the channels & tactics, and only applying efforts to the ones that promise highest returns. For example, it would be futile to invest in a cost per install campaign in UK if your average user there is gone before 30 days or has only a fraction the LTV of your top users in other markets. One important thing to remember is to apply every no-cost or low-cost tactic that you can use to promote your app. One main point to keep in mind is that user acquisitions is a continuous process, not a limited period project, which means that you would have to keep reviewing your strategy and keep tweaking it as a continuous activity. Let’s get started with a list of steps that can be taken to start with formulating your user acquisition strategy when you have a small budget. Your LTV or the Life Time Value of your app is of a great concern for an app developer who has to tighten their purse strings. With all the data that you have at your disposal, delve deep into research and find out which are the factors that constitute the LTV calculation. Prepare to get into the nitty gritty of all these factors and figure out how are these factors interrelated while getting a clearer picture about how the results are determined or calculated. It is a world of low attention span and millions of options when it comes to mobile app users. Not only do they form an opinion quite quickly, they are also notorious for taking decisions in record time. Hence for an app to be able to acquire new users, it must present itself in the best possible light, making it easy for your users to discover, install, and register for your app. An interesting way to make a good first impression is by making it accessible through offering a social sign-on and app activity updates in the social feeds so that a greater number of people become aware of your app through user to user invites through text or email. You have to draft a clear message for the users you are trying to acquire. A message that they would pay attention to, listen to, and be interested in. this message has to be so drafted that it resonates with the audience you are targeting. One of the ways to do this is by sharing the experience of the app with the audience you are targeting, long before they have actually had the opportunity to use it. This experience can only be provided through an immersive message. The reason why this works and brings new users on board is because it offers them a positive experience and a peek into your app for free! 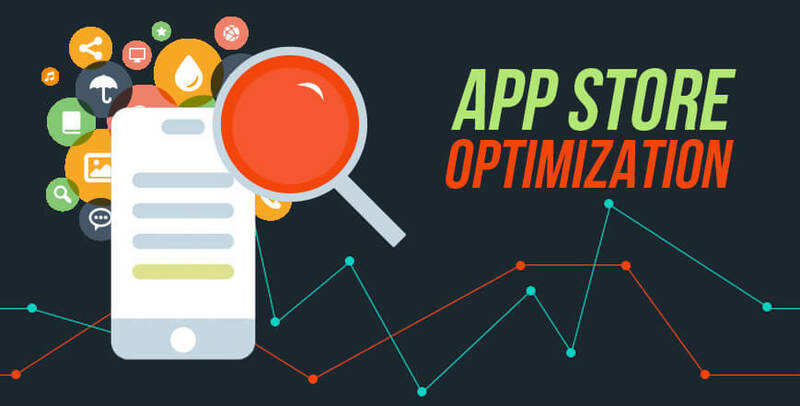 The wonders of app store optimization cannot be limited to one segment in a post, it requires multiple posts maybe to even understand how beneficial it is today for an app owner. Window shopping is an important part of shopping, no matter what it is that you are buying. The modern-day app stores have assumed the position of those dressed up windows when users are looking for an app to buy or download. Your App Store Page on Google Play or Apple App Store is what the users would look at first thing and base their judgement or decision on. Have you done enough research into the various methods and techniques of app store optimization? Whether it is coming up with an apt app name, writing the short and long descriptions, designing the right icon, using the right keywords, using SEO techniques encouraging positive reviews and high ratings, or a number of other techniques that can help you achieve high rankings and visibility. If your targeted user group cannot see you, how are you going to acquire them? It is important to take care of these factors so that you can impress the prospective users and encourage them to download your app. Social media reigns supreme over everything else that is relevant today. Anybody who is somebody or even a nobody is on at least one of the popular channels of social media. It is one of the most effective channels to exploit as a user acquisition strategy because this makes it possible for the users to share their positive experiences in context of your app with all their friends and family who are a part of their social media network. This is also beneficial for you as it requires almost no investment, and all it needs is for you to invest some time in it. It is possible to schedule numerous posts on the social media with free online tools or some inexpensive versions of them that offer you ingenious insights and effective techniques for a higher visibility on the social media. This involves a lot of strategic thinking, content generation, and mere minutes for the actual implementation. Social media lets you share unlimited visual content including videos and more that talk about your app and offer to more prospective users a quick peek into what difference your app is going to bring in their lives. Additionally, this medium of reaching out to potentially new users is a two-way medium, which means you get an opportunity to interact directly with the potential users, answering their queries about your app, and allaying any misgivings that they might have had about your app and its functionality. When you are socially active and responsive, it conveys to the potential users that you care about your app users and are ready to listen to their woes. When you reward loyalty, you are essentially making the users feel that they are treasured and appreciated. You as an app owner then establish yourself as someone that notices their love for the app and are willing to return the love. The rewards or incentives that you offer to your users must be on the basis of individual behavior and personal preferences of the users. There is a need for you to understand the behavior of your top app users and understand what they like doing within your app, and which rewards would gratify their wants and expectations. The delivery of these rewards is critical too in terms of the timing. It would do you well to figure out the exact micro-moments that would work best for your ultimate aim of gaining more users. Loyalty programs are of course lucrative, but when they are designed carefully to be personalized and timed strategically, the charm of it all grows manifold. Content is the king in this world of Digital media, social networking, and high mobile usage. Be generous when you are writing, designing or sharing content that is directed towards your users. Create engaging blog posts that would add some value for the users, create unique and informative tutorial videos that’d help the users get acquainted with your app & other offerings and generate as much content as you can that would make your app look fresh always. This content will help you with the holy grail of SEO & ASO while helping your users become more familiar with the app, nurture & develop user generated content and even share them on the social media helping you gain visibility. This also adds the opportunity for you to contribute to different media or channels that might be popular among the users you are targeting with your app. 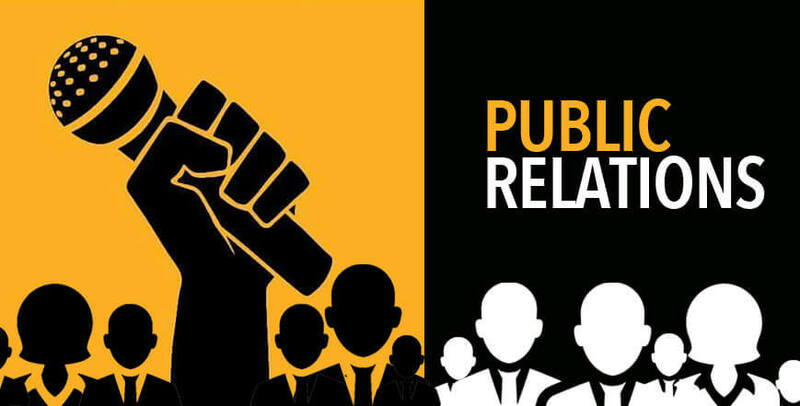 PR or Public Relations is a stronger medium than most people give it credit for. Whether it is journalists, bloggers, or influencers of different capacities and genre, the major way for them to make money is by coming up with a unique take on relevant topics of the day and presenting it to their audiences for their intellectual consumption. However, in doing so, they are perpetually striving to come up with content that is better and freshers than anyone else who might be a competition. You can get their attention when you offer them a beautifully planned query about any new development or update in your app whether it is a launch, a major upgrade, or the addition of a new feature. This is a process that benefits both the ends as they gain the content they need, and you get the coverage that is important for you! The only thing is that you would need to be really prompt about offering them the content, because anything that is more than a few days old, loses its appeal, freshness, and value. Cross-promotion is one of the oldest tricks in the book adopted by app developers where they use each other’s app spaces to promote their own apps. This is a proven way to acquire new users for their apps and generate new downloads with little to no investment as such. Quite rarely some of the app owners let the competitors advertise on their platform as there is the perennial fear of cannibalization of IAPs among other things. However, if you have had a loyal following among your users, then offering them such competitive content and CTAs may prove to be quite a cost-effective technique for adding users and for growing revenue. No matter how well you design your user acquisition strategy, if your app does not have any value to it, you are not going to have any users, or if you get them, they are not going to stick around for long. The main intent you must have is to build an app that brings in some value for the users and engages them proactively, especially if you are working to increase the number of downloads and are aiming for high rate of retention. You are building the app so that the users can use it and make money from it. Hence it is imperative that you build an app keeping in mind the user, their requirements, and their aspirations or expectations. You might be able to convince your users that your app is valuable, but you can only prove it by making enhancements to your app, getting the users hooked and encouraging them to keep coming back. Did you know that mobile users spend more than 3 hours a month using the top 1000 apps? Do you know why? These apps work consistently to offer the most consistent value to their users. Once you have employed your user acquisition strategy and have experimented with numerous channels and platforms, it is important that you determine which were the paths that were most popular to discover your app. Keep an eye on the factors that you can work upon and improve. Along with concentrating on your own product and performance, it is of equal importance to keep a keen eye out on the competitors and observe what it is that they are doing. This will not only inspire you to emulate the techniques that work, but also help you be aware of all the mistakes that they had committed and keep you from making them.